Some of the country's most well-known, large multinational corporations are increasingly investing in new, digital companies. 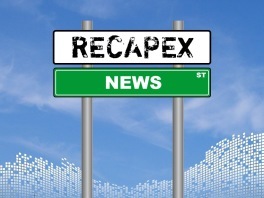 RECAPEX believe this is good for both the big and the small companies. Through our involvement in starting D-Ax, the Corporate Venture Capital (CVC) arm of Axel Johnson, we have seen the mutual benefits this can bring. Louise Hagen, Investment Manager at D-Ax, says in the article: "We are looking for companies that has a track record, but we do invest in both early and in late stage business. 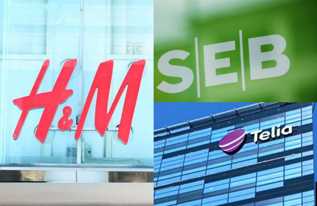 These companies are important for us, so our aim is to be an active investor. We meet a lot of companies and make sure we network in the right forums. Some companies come directly to us while others are recommended to us via our network." The idea behind corporations investing in early stage startups, is often more than just to get a financial return, but rather to find new business models and people that ultimately can enhance their existing business. This is easier said than done, but if successful it can prove a very powerful partnership. The trend for corporate venture capital has been on the rise for many years, in particular in the US. According to CB Insights, since late 2014 there have been at least 160+ corporate VCs completing deals each quarter. In the first half of 2016, Google Ventures dethroned Intel Capital as the most active. But companies like JetBlue and Campbell's Soup, are also investing heavily in newly started companies. To read more about how RECAPEX helped Axel Johnson start and launch their CVC, read our story about Launching D-Ax.